Auto lock zipper slider assembly machine is suitable for auto lock zipper slider, which four slider components: slider body, cap with spring, puller, hook can be assembled one time. Four point punches, strong strength for sliders. Auto zipper slider assembly machine can be used for same size nylon, metal, plastic zipper slider if puller and cap shape are some. Adopt imported electric and pneumatic components, like Panasonic, Schneider, Airtac,etc. PLC control, touching screen set, easy to operate. 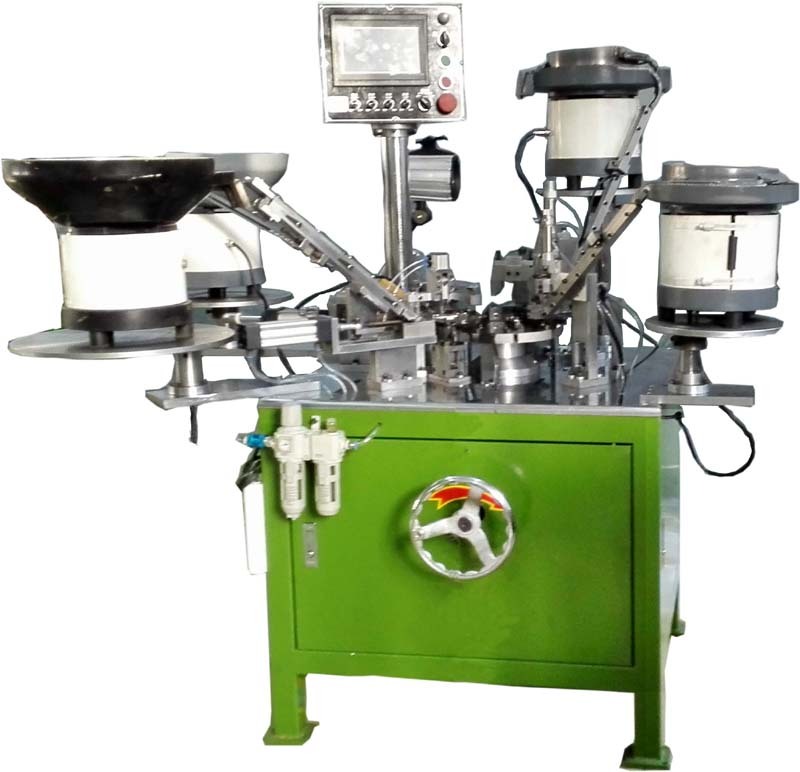 For special fancy puller, can be produced the same machine by changed tracing part only. Hi,Thanks for your comments.Any more question,please kindly contact with us by mail kinghuamc@gmail.com or whatsapp:0086-15088969968.